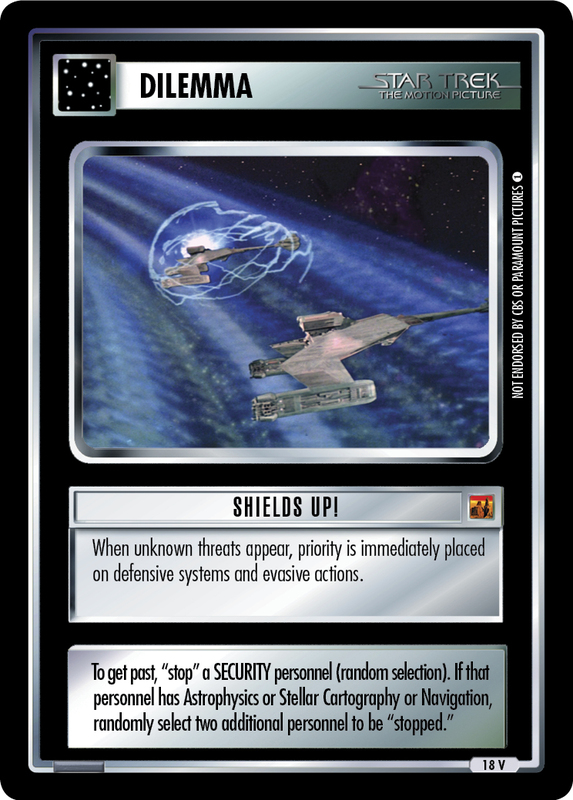 When unknown threats appear, priority is immediately placed on defensive systems and evasive actions. To get past, "stop" a SECURITY personnel (random selection). If that personnel has Astrophysics or Stellar Cartography or Navigation, randomly select two additional personnel to be "stopped." 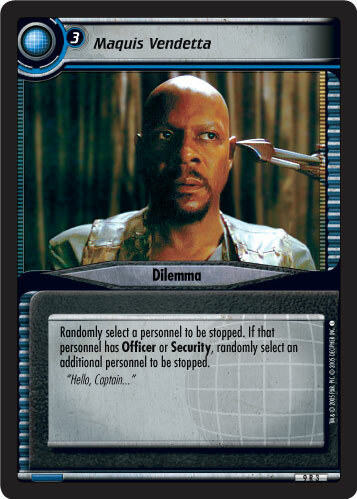 Dilemma Resolution Guide: Shields Up!